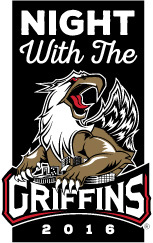 Join your fellow LMCU members on Saturday, February 6 for our annual Night with the Griffins. This year, the Griffins match up against the Rockford IceHogs in a sure to be hotly contested AHL game. Tickets are on sale right now at all of LMCU’s Grand Rapids area branches. Ticket packages include a game ticket, t-shirt, and $3 concession voucher!